To begin, let me start by saying that everyone who reads our works are meaningful and important to us. From the passer-by who just happens to have a quick browse, to the people who actively contribute and discuss their geekdoms with us and with one another on the website. It’s important to have a place for a community to go to, be it physical or digital. With this in mind, the first step to building an active community is to begin building a community in a location you want to see thrive. I have always been a tech-head, a lover of the internet and as such, it was only fitting I joined the wonderful WordPress community. You will be expected to be an expert in your field. When I started GeekOut, I will put my hand on my heart and tell you: I was not an expert. I was some guy who wanted to make something of a difference. I wanted emphasis on community, on friendships. Not on flashy gimmicks. Those would come later! Unsurprisingly, as the leader of a group, you will need to be friendly. You will need to be an approachable voice of reason for your group, taking requests for interviews, emails for enquiries and more. The friendlier and more approachable you are, the more amazing people will come to help you, because you’ve proven yourself to be reliable and responsive to them. 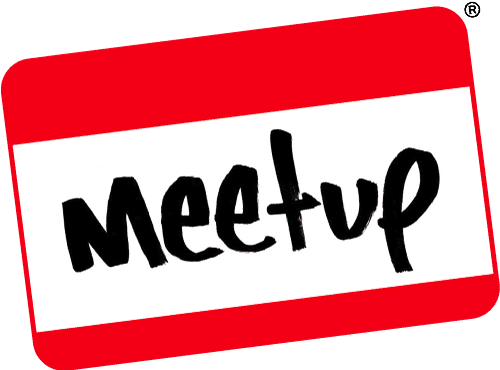 The last key skill I can associate with running your own community, your own meetup, is to be good at conveying a message. I won’t pretend I am good at writing, but I will say I have a talkative voice. I always have something to say, whether or not people agree with what I say. I run this website. It’s only a couple of quid here and there: Approx £10 for the domain name per year, approx £8 for the custom CSS we use on the website. Eventually, we’ll be moving over to our own hosting and we’ll go up to £10-£15 per month on the website alone. This is why I decided to make and trial our posters. The first big batch has been ordered, so I hope this is an avenue we can take: to create fun content for people to geek up their homes. After all, if you can’t GeekOut, sometimes it’d be nice to GeekIn. That slogan won’t stick, don’t worry! One way I am looking to counteract the cost of a community is through merchandise. Next in the finances department, consider your meetups themselves. I usually take a good £50 with me for them and come home with barely any change. That’s a lot of money to go through, but I do it because I want the community to succeed… and meals and drinks do cost. You do not have to run a meetup in a pub, but consider if other venues would expect you to pay for the use of the venue. It’s worth discussing your groups needs with your venue of choice beforehand to ensure there are no surprise hidden fees. Be your communities leader and be prepared to answer any and all questions that head your way. Take your wages into consideration and anything you want to do for and with your group. Manage your time accordingly, learn that you will need to make some serious sacrifices to run these groups. Once you’ve hit your stride there, the community will reward you for being you… and this is why I keep running my meetups. I love seeing everyone attend my events, people who come and are genuinely making great friendships from the group. I adore seeing people from other cities swing by, just to see what all the fuss is about. I love the pictures that come as a result of each of my meetups. I can’t wait to see everyone on December 5th, for the GeekOut Finale Of 2015. Have you ever run a community for yourself and does any of this ring true? Does anything from the above put you off running your own events, or do you think the challenge to be worth it? Would you just join in with a community based on the above? Let me know what you think in the comments below, over on Facebook and Twitter. 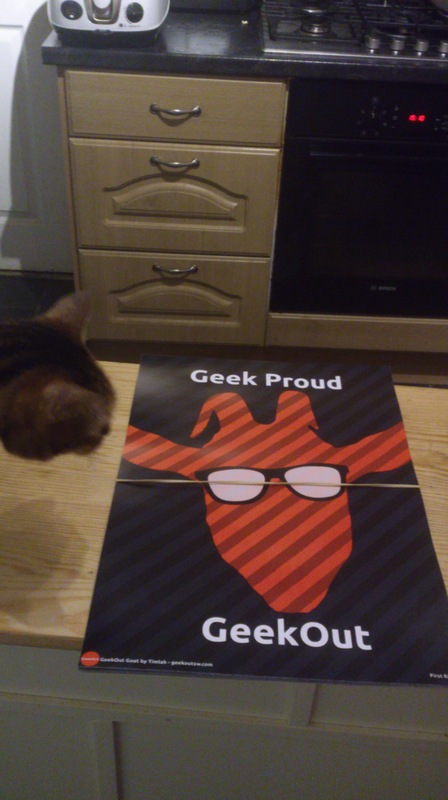 Remember to Geek Proud, GeekOut and when we’re set up… Please consider buying one of our posters! Your support will mean a lot to us. This entry was posted on November 23, 2015 by Timlah. It was filed under GeekOut discussion, GeekOut Meetups and was tagged with Community, Finances, Geek, geek community, GeekOut, GeekOut Meetup, Making A Community, Meetup, Meetup Organiser, Organiser, Running A Social Group, Social, Social Event, Social group.